midweight, elastic fabric with a fine, grainy surface; produced in linen weave, commonly with a cotton warp and weft in which (to differing extents) a woollen yarn is alternated with a twisted yarn from horsehair or synthetic hair. Used to stiffen the shapes of men's and ladies' clothing. The name is given by the hair used. 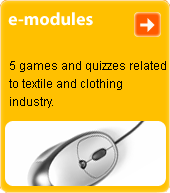 Today its use is being superseded by non-woven textile materials.